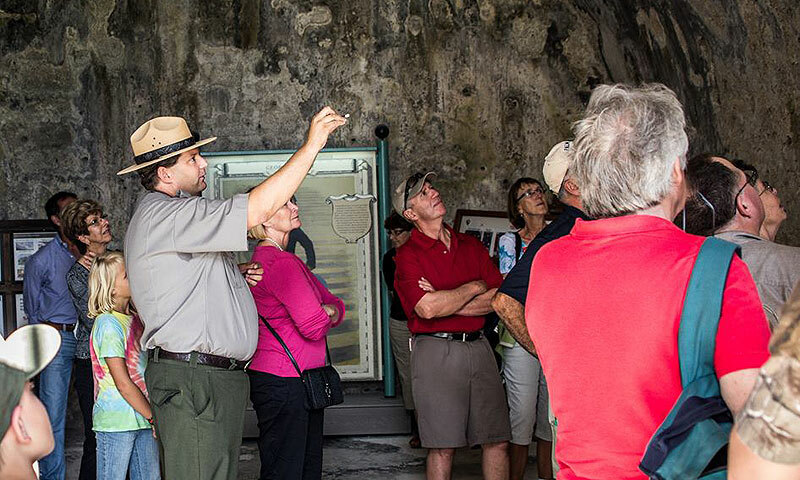 The Castillo de San Marcos offers free admission and some special activities in honor of Veterans Day. The Castillo de San Marcos offers free admission on Sunday, November 11, 2018, in honor of Veterans Day. The Castillo is open from 8:45 a.m. to 5:00 p.m. This year's activities will include a flag raising by St. Augustine's Boy Scout Troop 345. Three special presentations by historian Scott A. Grant will be given (at 9:30 and 11:11 a.m. and at 2:00 p.m.) about military activity that took place along the coast of Florida during World War II. 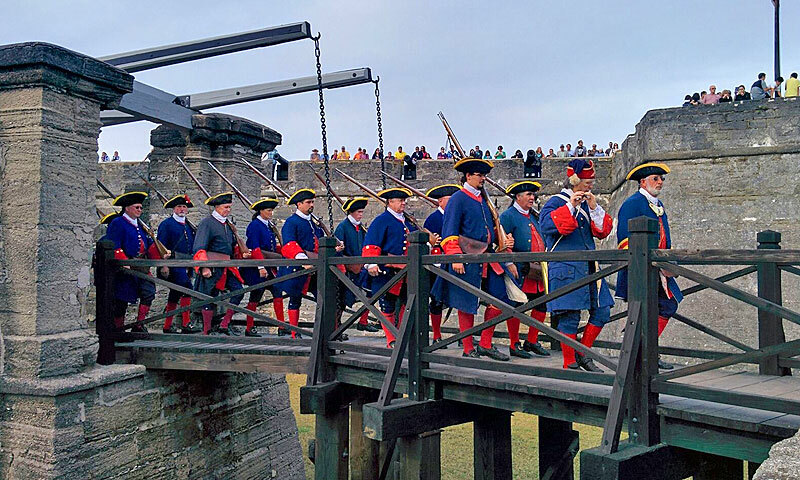 Throughout the day, living historians will portray various periods of St. Augustine's military history. The Castillo de San Marcos is the oldest masonry fort in the continental United States. This large Spanish stone fortress was built to protect and defend Spain’s claims in the New World. It’s a National Monument and, at over 315 years old, it’s the oldest structure in the city. Visitors will find plenty to explore at the fort, from the numerous rooms that once housed soldiers and prisoners, to the large interior courtyard and gun deck which offers a great view of the city. When: Sunday, November 11, 2018. The Castillo is open from 8:45 a.m. to 5:00 p.m. Informal activities commemorating Veterans Day will take place from 9:00 a.m. to 3:00 p.m.
Where: Castillo de San Marcos is located on the bayfront in historic St. Augustine, at 1 S. Castillo Drive.